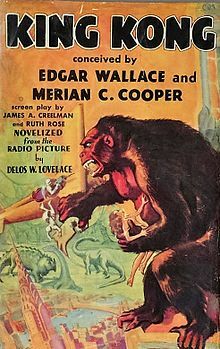 Merian C. Cooper was very fond of strong, hard-sounding words that started with the letter "K". Some of his favorite words were "Komodo", "Kodiak" and "Kodak". 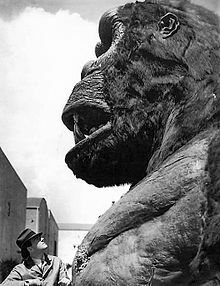 When Cooper was envisioning his giant terror gorilla idea, he wanted to capture a real gorilla from the Congo and have it fight a real Komodo dragon on Komodo island. 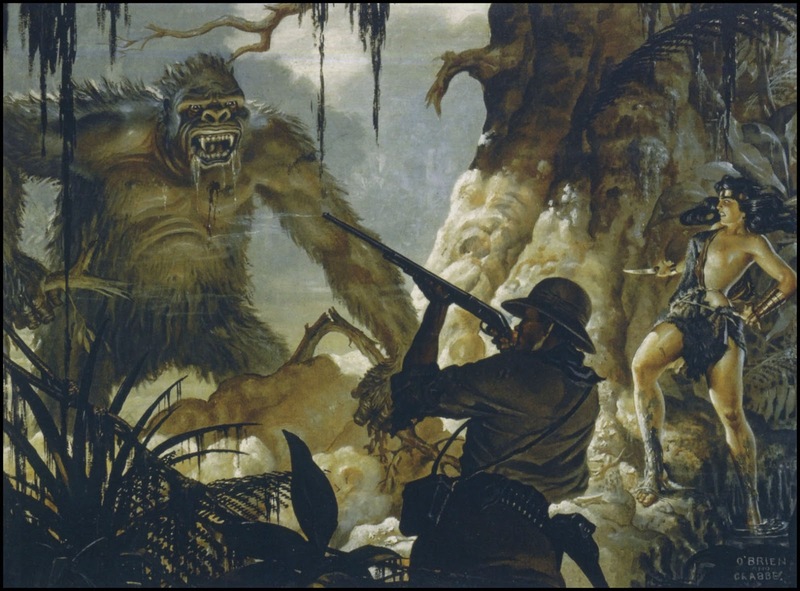 (This scenario would eventually evolve into Kong's battle with the tyrannosaur on Skull Island when the film was produced a few years later at RKO.) Cooper's friend Douglas Burden's trip to the island of Komodo and his encounter with the Komodo dragons was a big influence on the Kong story. Cooper was fascinated by Burden's adventures as chronicled in his book Dragon Lizards of Komodo where he referred to the animal as the "King of Komodo". 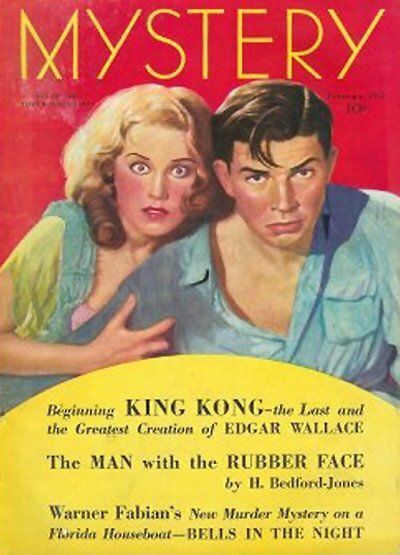 It was this phrase along with "Komodo" and "Kongo" [sic] (and his overall love for hard sounding "K"-words) that gave him the idea to name the giant ape "Kong". He loved the name, as it had a "mystery sound" to it. ^ West, Mike (July 13, 2016). "Now Open - Skull Island: Reign of Kong". Universal Orlando Close Up. Universal Orlando Resort. Retrieved September 14, 2016.